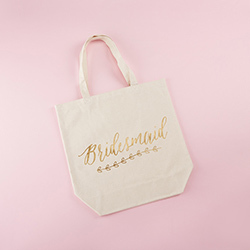 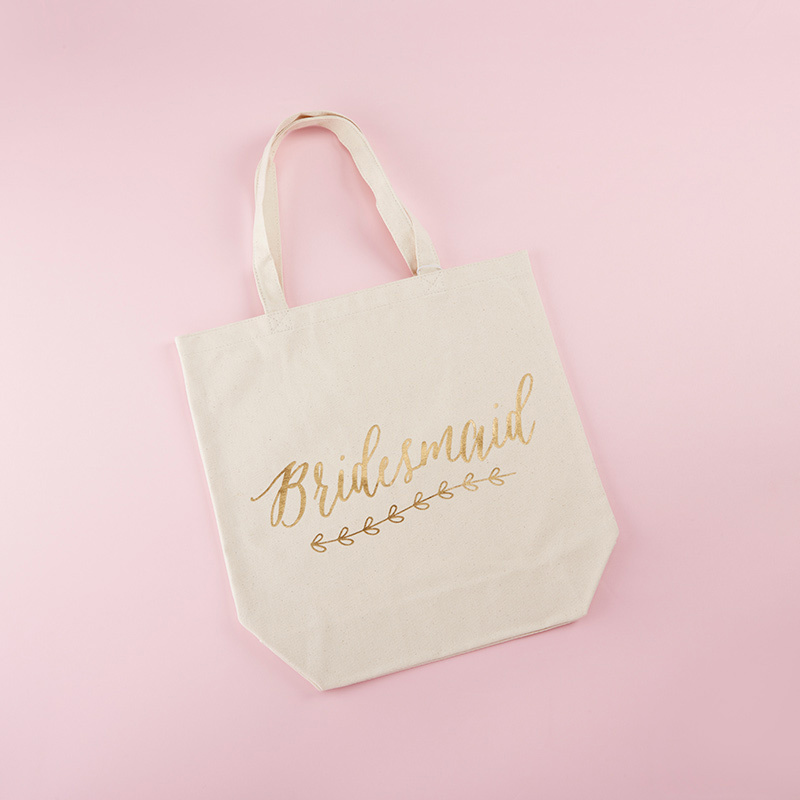 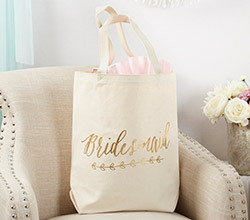 To go along with our Gold Foil Bride Canvas Tote, we also have our Kate Aspen Gold Foil Bridesmaid Canvas Tote! 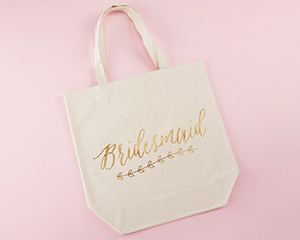 This canvas bridesmaid tote bag features a chic natural and gold foil color combination that fits right in with any existing wedding theme, and this bridesmaid tote gift can be personalized with up to 10 embroidered characters on the side of the bag opposite the gold foil ""Bridesmaid"" graphic. 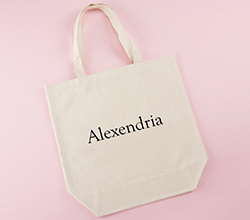 Whether filled or unfilled, this is a tote your team will appreciate! 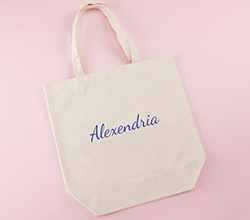 Personalized embroidery available for an additional cost.